What are the New gTLD’s? The new gTLDs are what the powers that be should have done when the internet was first being established. Then again, hindsight is always 20/20. The new gTLDs are Top Level Domain extensions, but with more of a description that’s easily discernible. We all know that .com has been the reigning extension since the beginning of time. Everyone had to get one. And we were all fairly content with our wonderfully thought-out domain name + .com. But we were out in this vast unchartered territory. Getting lost along with everyone else. Well, with the new extensions they will help set you apart from the crowd. These extensions represent YOU! Your BUSINESS! Your PERSONALITY! But how will these affect you? You will be easier to find on the Internet. People seeing your web address will know what you are about. And isn’t that what you want? You don’t want others second guessing, getting confused, and finally going to someone else’s website for their needs. You want a concise and clear name and extension that will get you noticed. It’s common sense. When will they be released, and what is the process of obtaining a New gTLD? Gradually over the next two years over 1,000 new extensions will be released to the public. Some will have restrictions as to who can purchase these. As each new gTLD is released, terms and conditions will be forthcoming. There will be a series of four launch phases – Sunrise, Landrush, Pre-Registrations, and General Availability. Sunrise – basically only for Trademark owners to protect the domain name that matches their trademark; many fees involved, but better in the long run where later you might have to get lawyers involved in suing someone who has taken your name. Landush – priority registration for domain names; may not apply to all TLD’s; also at a higher cost. Pre-Registration – the ability to submit your order prior to General Availability. This can work two ways. It could put you in front of the line in case the registry decides to go on a first come, first serve basis once GA opens up to the public. Or at least you are registered, and don’t have to worry about missing deadlines in case the registry has more than one offer for a name, and sends it to auction, where at that point, you go up against others for the domain name, and it then goes to the highest bidder. General Availability – registration is open to the world! At this point, you may need to act quickly in case someone is out there hovering like a vulture, waiting to grab your domain name and use it for their evil purposes! How and where can I register a new gTLD domain name? The new gTLDs will be available at various registrars, depending on which gTLDs are made available at which registrar. If you have a favorite registrar, check with them to see which extensions they carry. 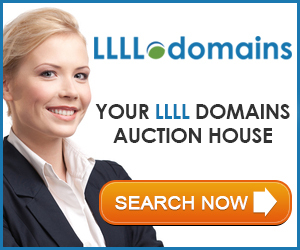 You can also go to our www.dotWhateverDomains.com site to register both new gTLDs and other TLD domain names. Come back weekly and view our posts of the New gTLDs being released for that week.